We invite you to share your Buckhorn Inn experiences on TripAdvisor. The Inn seem to have many guests who love the Inn as much as we do. In this blog we are sharing a few of their recent reviews below. 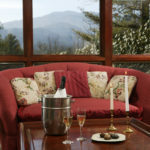 All of them have awarded Buckhorn Inn five stars out of five! epbodo writes: Superb Mountain Getaway. We return to the Buckhorn Inn as often as possible. 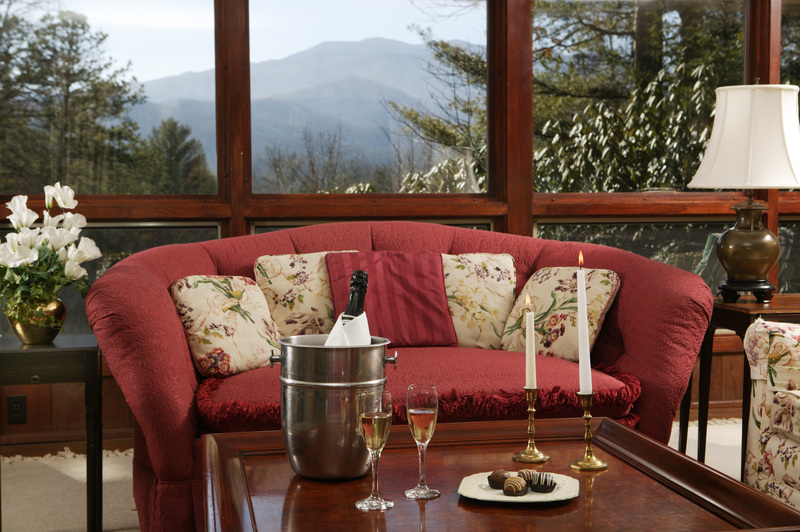 The location, a few miles outside of Gatlinburg, is perfect to avoid the tourist crowd and is convenient to many hiking and day-trip destinations. The rooms are always clean and well-kept. We usually eat dinner at the Buckhorn and we have never been left hungry or dissatisfied. Staff is always ready to accommodate special requests. The soups and desserts are extraordinary. Lee and John and all of their helpers are gracious hosts. To summarize in one short sentence: We love the place. The view from Bebb House is spectacular. who fell in love with the Inn too! We stayed in the Bebb House for the first time and absolutely loved it! It’s so charming and cozy with lots of room to accommodate two couples. The full kitchen and two baths were perfect. The view from the beautiful living area is breathtaking and my husband kept a warm fire going which we all enjoyed! We dined in the Inn on Saturday evening and the prime rib was delicious! Heidi is the ever welcoming hostess and took care of us so well! Breakfast at the Buckhorn is always a treat with a sweet or savory choice each morning! We missed seeing John this visit but Lee informed us he was celebrating his birthday with friends and family. The Mellors could not be more perfect as innkeepers! We have been visiting the Inn for almost twenty years and always look forward to our next stay with anxious anticipation! Fancydance wrote: Girl trip. We had a girlfriend getaway trip. We are all critical care nurses, we work in a stressful environment. This trip allowed us time to relax and unwind for a week. Everyone was so kind and nice. We stayed in the Bebb House which offered beautiful views. The stay was relaxing. The Inn offered us peace and quiet. The staff always asked about our day, wanting to make sure we were pleased. The answers were always yes. Can’t wait to return next year.